It hasn’t taken long, but OnePlus has already launched multiple variants of the flagship phone, the 5T. The story started with two variants in Midnight Black kicking off things late last year, with the Star Wars Limited Edition to tie in with the release of the The Last Jedimovie, and the Sandstone White following in its footsteps not much later. However, the family expansion hasn’t finished just yet, with a new red colour variant now available. It is called the OnePlus 5T Lava Red, and this truly will get your attention. And not just because of the better looks, but also because OnePlus rolls out regular software updates that have made the entire 5T line-up significantly better too. The red coloured iPhone variants had a white faceplate, and that sometimes didn’t go too well with the red black panel. We can, in some ways, trace the roots of the excitement around red coloured phones back to the Apple iPhone 7 and iPhone 7 Plus’ PRODUCT RED variants launched early last year. There have been many phones since, dressed in red, but none have really caught the attention. At least till now. One thing that OnePlus has done differently, and we are glad it did, is make the front bezel black in colour. The red coloured iPhone variants had a white faceplate, and that sometimes didn’t go too well with the red black panel. 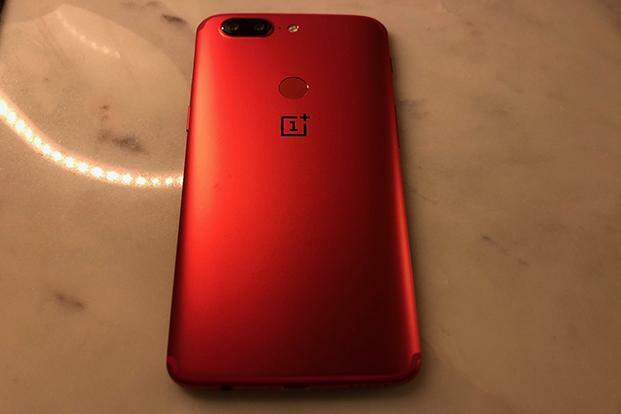 With this sorted perfectly, OnePlus has opted for a slightly shinier finish to the red colour. It is not exactly a “metallic” finish with no shiny specks visible if you look closely, but light does reflect off it rather well. This is a considerable contrast to the matte and subdued finish of the Midnight Black, and the coarse finish of the Star Wars Limited Edition OnePlus 5T variants. 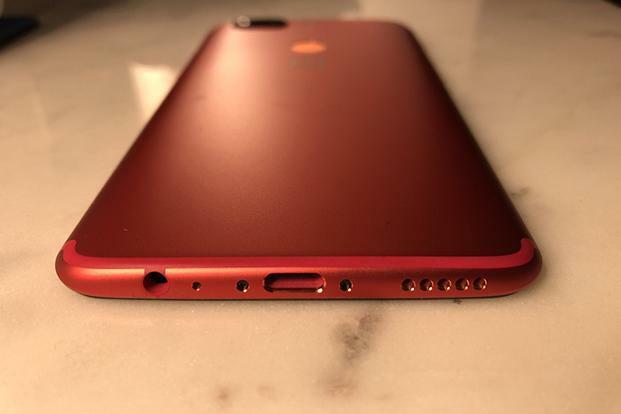 The antenna lines on the back have a slightly different shade of red, compared with the rest of the back panel, and they are distinctly visible instantly. We would have preferred merging them instead, to give the back panel a cleaner look perhaps. Nevertheless, the One Plus 5T feels great to hold, with the metal feeling great as the phone snuggles in your palm. Despite the large screen, the minimal bezels around the screen ensure that the footprint remains in check. At present, the Android 8.0 (Oreo) build is in beta testing, and should be released for all users soon enough—though we would have expected the flagship phone to be given the newest Android variant by now. The specifications of the OnePlus 5T Lava Red include the Qualcomm Snapdragon 835 processor, 8GB RAM, Adreno 540 graphics, a very fast 128GB UFS 2.1 storage and Oxygen OS 4.7 (based on Android 7.1). At present, the Android 8.0 (Oreo) build is in beta testing, and should be released for all users soon enough—though we would have expected the flagship phone to be given the newest Android variant by now. 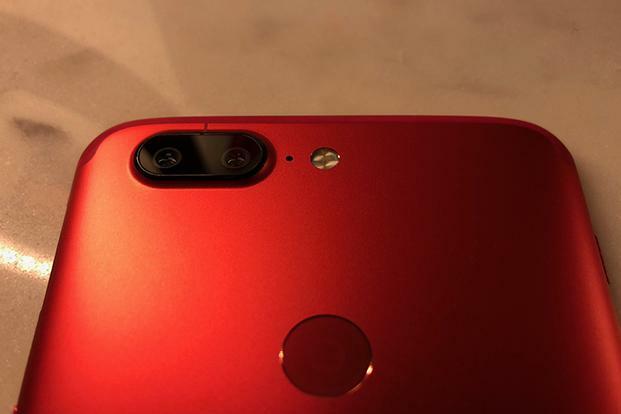 There is no 6GB RAM/64 GB storage variant of the OnePlus 5T Lava Red, which does somewhat simplify the burgeoning line-up of phones that OnePlus is selling at the moment. Over time, the updates have made it more stable, slicker to use and perform better overall, but the clean visual appearance has remained largely the same. The 6-inch AMOLED display is quite immersive to use, particularly with the minimal bezels. Though it isn’t exactly what you can categorize as “holding up a screen only”, but this comes close. The screen also ticks off the checklist with good brightness and contrast levels. If viewing movies and videos is something that interests you, the colours look pleasantly vibrant too, without being unnaturally loud. There is a Sunlight Display mode, which boosts brightness when you are using the 5T outdoors, to negate the reflections. The camera has a feature known as Intelligent Pixel Technology, which combines the data from 4 pixels into one. When OnePlus unveiled the 5T with dual cameras, it was only to be expected that there would be significant improvements to the combination, over the set-up seen in the OnePlus 5. What we have then is one 16-megapixel primary sensor and another 20-megapixel second sensor. The higher megapixel count on the second sensor is because of the attempt to improve low-light photography. This gets activated if the ambient lighting is below a certain threshold, so that photos are well-lit and detailing is not lost. From what we noticed with photos taken at dusk or once the sunlight had completely gone, were significantly better than before, and in quite a few scenarios, it did get very close to the likes of the Google Pixel 2 XL. The camera has a feature known as Intelligent Pixel Technology, which combines the data from 4 pixels into one, when the second sensor is in use, to reduce distortions in shadow areas, for instance. Daytime photos are beautifully lit, with accurate and well-distinguished colours. Unlike a lot of other phone cameras, which tend to soften the image a bit more to hide away the distortions, the 5T’s camera retains a good amount of sharpness. The only possible flaw at the moment is with macro photos in cool-white lighting, which are a tad sharper than they should be. When Apple introduced Face ID in the iPhone X late last year, that set about a sequence of events which saw Android phone makers attempt to replicate something similar. OnePlus added the Face Unlock feature in the 5T, and after some initial stumbles and a few updates later, it is now in a significantly better place than before. Not only is it more responsive, it is quicker too and doesn’t necessarily stumble anymore if you are standing in bad light environments. Will the OnePlus 5T trim the bezels?